Here’s some crayon trivia for you. 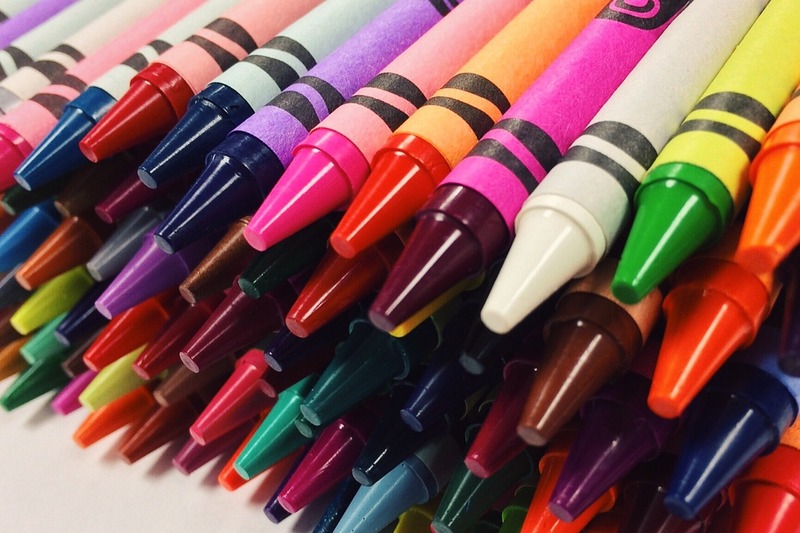 The smell of crayons is the 18th most recognizable scent for adults in the United States. I love the scent of crayons. For me it’s a scent that brings about fond memories. Even today there are occasions for me to retrieve my box of 96 colors from my desk drawer. When I flip open the lid my nose begins to quiver. Okay, maybe my nose doesn’t quiver, however it definitely soaks up that crayon scent! So why am I blabbing on about crayons? You know I have a reason and here it is. This Sunday, March 31, is National Crayon Day. It’s a day to celebrate the invention of crayons and the joy of coloring. Apparently the favorite crayon color of most Americans is blue. A peek inside my box of 96 (taking a whiff now…) reveals multiple blues. There’s navy blue, periwinkle, cornflower, sky blue, wild yonder blue (? ), cadet blue, denim—I know there’s a simple “blue” in here somewhere! Do you have a favorite color of crayon or a favorite crayon name? Or maybe you’d like to invent some crayon colors just for you? For example, Dark Chocolate, Ocean Blue, or Margarita Green. Wow, that was fun! Try it! PS: Sending along colorful wishes for a fun-filled National Crayon Day! One of my childcare children went to the Crayola Factory in Easton , PA where you can make your own crayon and he made one named after me – “Miss Beth” – is was a turquoise blue! I love coloring with crayons because of the way you blend the colors for adding makeup to Barbie and a rustic look paint job on cars. I have 2 different boxes with crayons that includes crayons that have been retired. Coloring is the way l reduce stress. Burnt Sienna it is so earthy. Cobalt blue! I’m carrying on my mom’s tradition of giving my adult kids – and grandkids – a coloring book and crayons every Christmas. It’s so fun to watch them enjoying cartoon characters from their childhood. I love this idea, Lorna! Cerulean blue is my go to favorite. Macaroni and cheese. The color just brings a comfortable feeling to the art work.